What do you expect to see when you open your fridge? Maybe some juice, or a sandwich. Certainly not an ELEPHANT! What’s it doing there? Will it eat all your food? Laugh lots finding out! Fred can’t sleep. Mum suggests counting sheep. But sheep are boring. He’d rather count elephants instead! 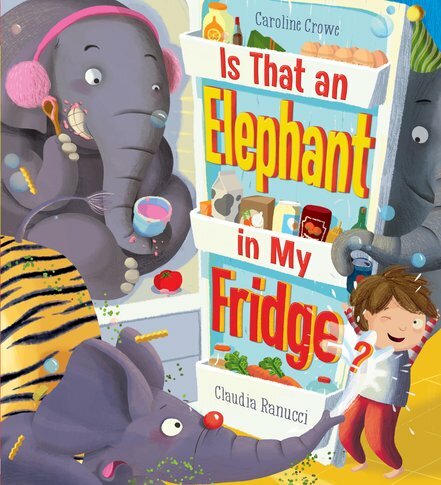 In no time at all, the house is full of elephants – splashing in the bath, doing tricks on the landing and chilling out in the fridge. There’s even a marching band on the stairs! Will these noisy jumbos ever pack their trunks?